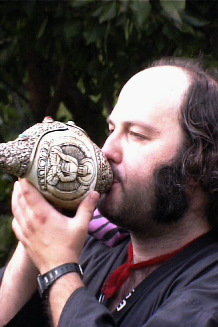 An offering vessel used by many cultures on all the world's continents. One of the 5 weapons of Vishnu to destroy evil forces and known to the Hindu's as the 'shankh'. According to Hindu mythology it was the primordial sound of creation. The Tantric object associated with the 'spirit of air',proclaims the glory of the Saints in Buddhism. 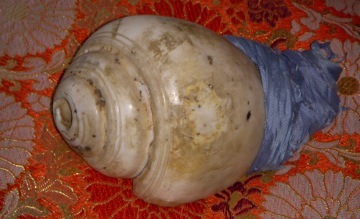 The white conch which coils to the right symbolizes the deep, far reaching and melodious sound of the Dharma teaching, which being appropriate to different natures, and aspirations of the disciple, awakens them from the deep slumber of ignorance and urges them to accomplish their own and other's welfare. Played in pairs producing single held notes with rising attack. Known as 'Dung-dkar' in Tantric Buddhism. 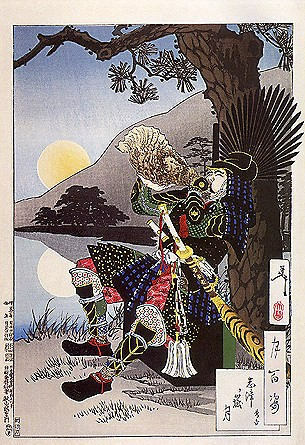 Used throughout the Pacific rim cultures as a signaling and ceremonial wind instrument. Known as 'Putatara' to the Maori. Used by the Aztec culture in ceremonies to signal the 4 directions, and used to call the rain god 'Tlaloc'. It is said that Quetzalcoatl created life with the aid of a conch shell and he is always pictured wearing a conch pectoral. 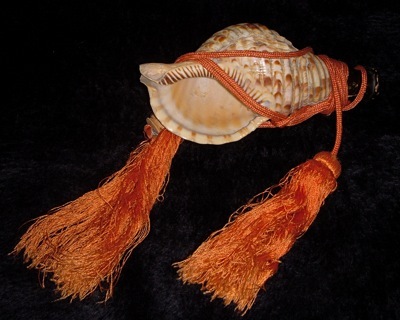 In the Maya region, conch shells were associated with the Underworld and conch trumpets were used during rituals to recall ancestors or supernaturals. Known as the 'Pututo' among the Indians of the highlands in South America. Used in religious events, communal gatherings, festivals, and processions. Used by Triton the son of Poseidon and Amphitrite, this merman of the ancient Greeks was often depicted with a trumpet made from a conch which he used to raise or calm storms. Known as 'Lambi' in Voodoo ceremonies dedicated to the spirit 'Agwe'. 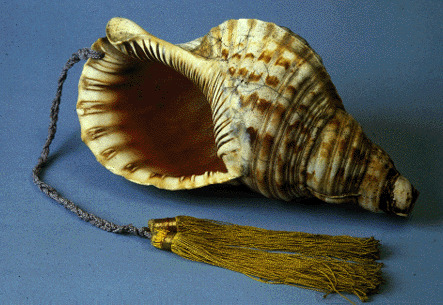 The ceremonial conch horn from Korea, the Nagak. 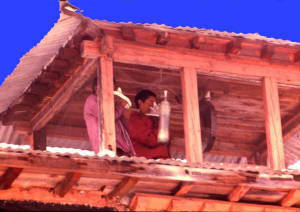 It is also known as the 'sora' or 'godong'.